Manual hoist is a manual lifting machine, it is simple and easy to carry, also well known as"Chain hoist" And " Down chain". 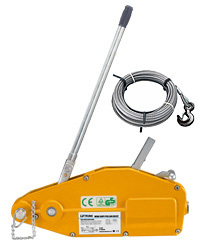 Liftking brand manual hoist with a compact and small hand-pulling features. It is suitable for lifting the small equipment and goods in short-distance. 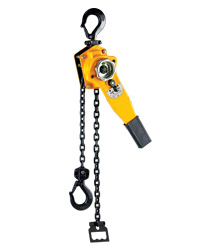 The manual hoist include chain block and the lever block. Chain block is a portable manual lifting machine. It has a safe and reliable, easy maintenance, high mechanical efficiency, small pull power of the hand chain, light weight, easy to carry, small size and beautiful appearance, durable features. The major parts of liftking brand chain block is made by alloy steel material. 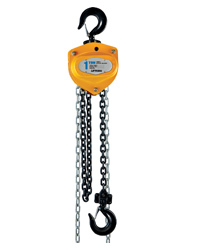 The chain is heat treated, low wear and corrosion, forged hook design to ensure a slow lift to prevent overload. Using one-way ratchet friction plate brake, it can brake in the load on there own. Achieved CE certification. 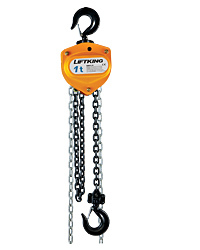 Liftking brand chain hoist lifting weight is from 0.5 ton to 20 ton and the lifting height is from 2.5 metres to 30 metres. Chain block is widely used in factories, mines, construction sites, wharves and docks, warehouses etc. 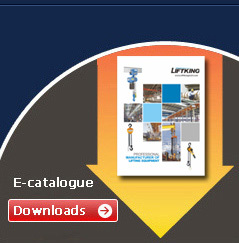 For installing equipment, lifting goods, especially for open and no power supply situation. In addition to single use, it can also use with the various type of manual trolley, to achieve the function of walking around to lift the goods. It can be installed on I-beam, single girder bridge cranes and jib cranes. Liftking brand lever block has a compact, light weight, small size, portable, safe and reliable, long life service, small lever force and the small rope wear features. If configure a special device, not only for non-linear traction operations, and also can easily select the appropriate operating position. It can multiply the small tonnage equipment to expand its load capacity, as to large tonnage you can operate several lever blocks side by side. Liftking brand lever block adopt unique elastic clutch technology, can lift goods at any height. 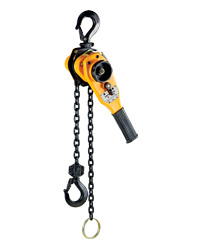 Light hand equipment with a high lifting rate. New designed forged hook, the top of hook is more secure, with a low bend features. 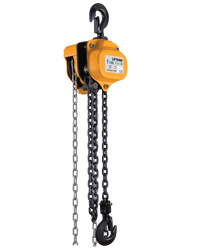 Our lever block lifting weight is from 0.25 ton to 6 ton, and the standard height is 1.5 metres. Liftking brand lever block suitable for factories, mines, construction sites, docks, transport and other occasions. It is an ideal equipment in installing the machine,lifting the cargos, fixing the objects, lashing and traction. Especially in traction at any angle and in a small venue, open air and non-power supply condition even show its superiority. Wire rope block is a new, high efficiency, safe and durable lifting equipment. It has three function of lifting, pulling, tensioning, beautiful appearance, reasonable structure, with a high breaking force and wear-resistance features. Liftking brand wire rope puller use alloy aluminium shell, long service life, light weight, portable and easy to operate. The mating wire rope with high breaking force and wear -resistance features. Our wire rope block lifting capacity is from 0.8 ton to 5.4 ton, and the pulling capacity is from 1.3 ton to 10 ton. The wire rope block widely suitable for pulling the gun carriage, setting up communication,plumbing, installing electrical, trenches and deep operations, oil field, railway traction etc..